anyone who has had a baby within the last few years is surely familiar with the popular children's moccasin made by Freshly Picked. an overnight sensation that took over the world of baby. their comfortable, flexible fit designed to be ergonomic and best for baby comes in a variety of leathers making them a great pick for baby of all ages and genders. 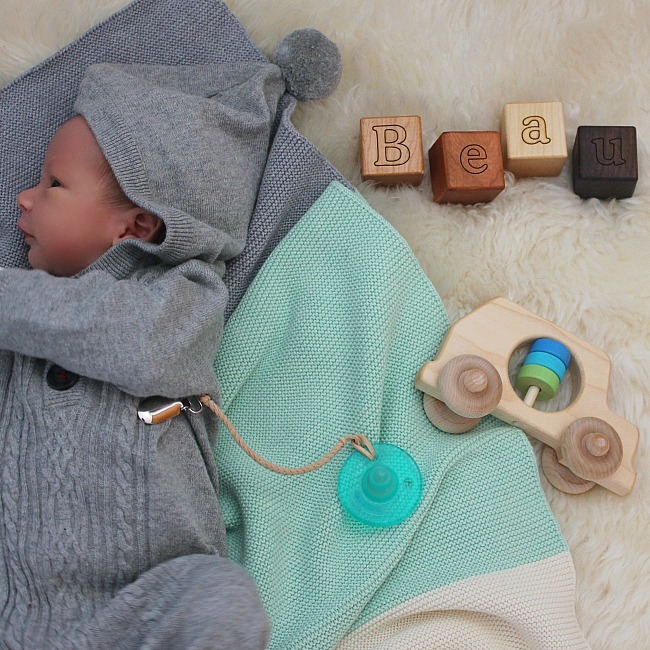 Freshly Picked's creator Susan understands the challenges of new baby product innovators trying to make their way into the marketplace and gain exposure for their products. there are a lot of great ideas out there but getting your product to the masses can be a struggle. this is why Freshly Picked has created the Freshly Picked Marketplace. this is a community where parents can be introduced to amazing brands, their stories and shop their products. this community of small business is truly the best of the best, hand-picked and tested by the Freshly Picked founders and then shared with you on the website. to help spread the word for the new Freshly Picked Marketplace i was a sent a variety of products that can be found within the Marketplace. first is the Koko's Nest Grays Knit Blanket. these blankets are warm and soft without the bulk of traditional knit blankets. it can be used for swaddling, cuddling and tummy time. it comes in several colors in a minimal color block design. this is definitely a family keepsake and will be something you will want to share with your child for many years. next is the Madeline's Box Suede Pacifier Clip. 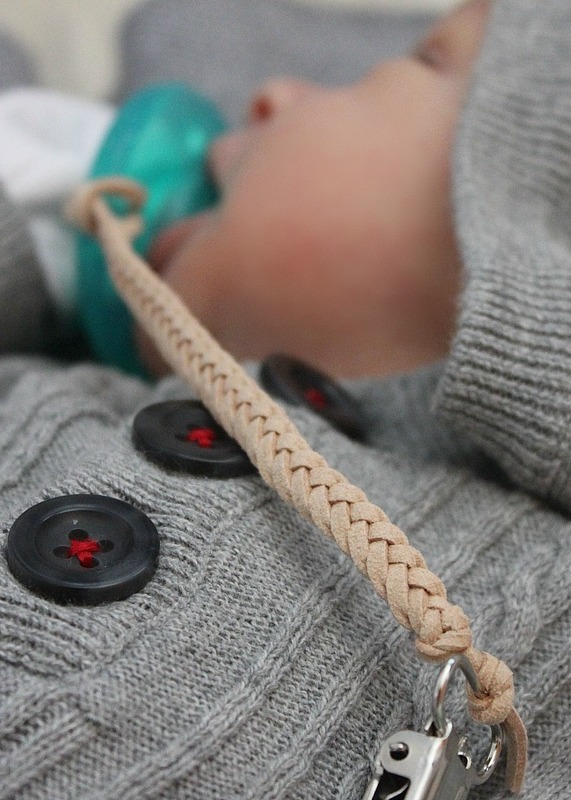 this side pacifier clip is stylish and simple. the metal clip will securely attach to any item that you want to keep safe and included is a plastic insert that helps protect your clothing. the specially treated microfiber suede does not crack, weather or smell. the last two items i was able to try were from Bannor Toys, wooden blocks and a toy car. Bannor Toys started as a basement hobby and has turned into a much larger venture than their creators could have imagined. 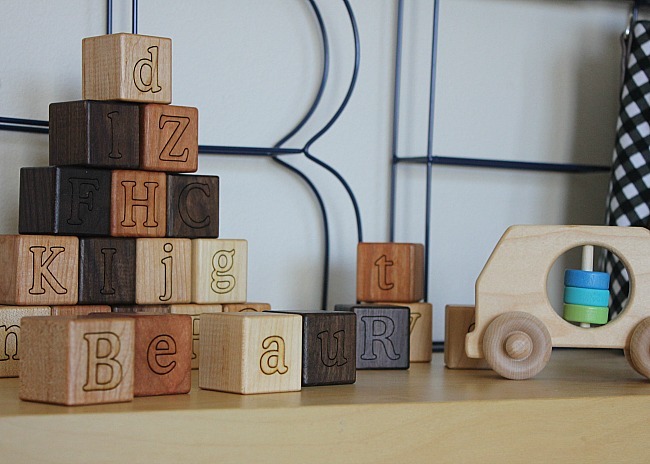 they are handcrafted wooden toys that are made in the Mid-West. they use organic paints, beeswax and flax seed to finish the toys. the toys are created with the hops of inspiring children to use their imagination and develop creativity and motor skills. i know these will be a big hit with Beau because my older kids have already had fun with them! be sure to stop by the Freshly Picked Marketplace to see all of the products they have to offer. there is sure to be something on your wishlist for the special baby in your life.